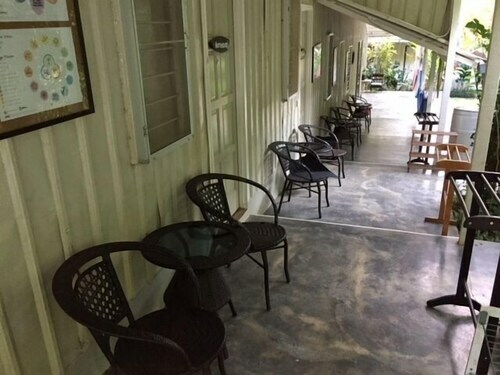 Located in the mountains, this family-friendly lodge is within 20 mi (32 km) of Mossy Forest, Ee Feng Gu Bee Farm, and Cameron Highland Butterfly Farm. Raju Hill Strawberry Farm and Kea Farm are also within 20 mi (32 km). Along with a children's pool, this smoke-free lodge has laundry facilities and an arcade/game room. Free continental breakfast, free WiFi in public areas, and free self parking are also provided. Additionally, a library, express check-in, and express check-out are onsite. All 14 rooms offer free WiFi, ceiling fans, and hair dryers. Guests can enjoy a complimentary breakfast each morning. Public areas are equipped with complimentary wireless Internet access. This family-friendly lodge also offers a children's pool, a library, and a terrace. Complimentary self parking is available on site. Moonriver Lodge is a smoke-free property. Start your day with a free continental breakfast, available daily from 8:30 AM to 10 AM. Recreational amenities at the lodge include a children's pool. Rollaway/extra beds are available for MYR 65.00 per night. Cribs (infant beds) are available for MYR 45.00 per night. This property's policy is to refuse certain bookings for the purpose of group events or parties, including pre-wedding stag/bachelor and hen/bachelorette parties. Children 3 years old and younger stay free when occupying the parent or guardian's room, using existing bedding. Only registered guests are allowed in the guestrooms. Alcohol is not served at this property.